Cru Press Green‘s “Prayer, Care, and Share” strategy is a great tool for helping students take their first steps in evangelism. We love Cru Press Green. Their “give it all away” mentality has been very influential in our approach. Plus, their resources are just practical. Oftentimes, it’s something you can print straight from their site and pass along directly to your students. Today, we’d like to bring your attention to their Prayer, Care, and Share strategy. It is focused on evangelism! It is a practical tool for moving students from private faith to public faith. It progresses from low-risk activity to high-risk activity over time in a way that is flexible depending on the student’s maturity. It is highly reproducible in a variety of contexts and ministry models. It is a process that a leader can demonstrate before they delegate. The PAGES acronym is an awesome tool to help students think about where they are likely to have the most influence. First, make a list of people you know who attend classes at your college or university. Think about people you know using the acronym PAGES. P – Are there people you know that share your similar political views? A – Are there people you know who are involved in athletics with you whether varsity, intramural, or pick- up games? G – Are there people you know who live near you geographically? This could be people in your residence hall, Greek house, off-campus apartment or neighborhood. E – Do you have a part-time job while you’re in school? Are there people you know who are employed with you? S – Are there people you know with whom you regularly socialize? These people could be members of your fraternity or sorority. Or they could just be people that you hang out with socially from time to time. Click here to get the strategy for yourself. Let us know how you use it! 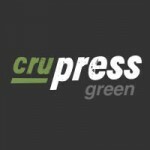 Cru Press Green is the digital home of all the ministry resources of Cru's U.S. Campus Ministry. There you'll find hundreds of free resources for collegiate ministry.